Marion from The Marion House Book has posted a great diy project on her blog. She bought some plain baskets and designed a pattern and color combination. 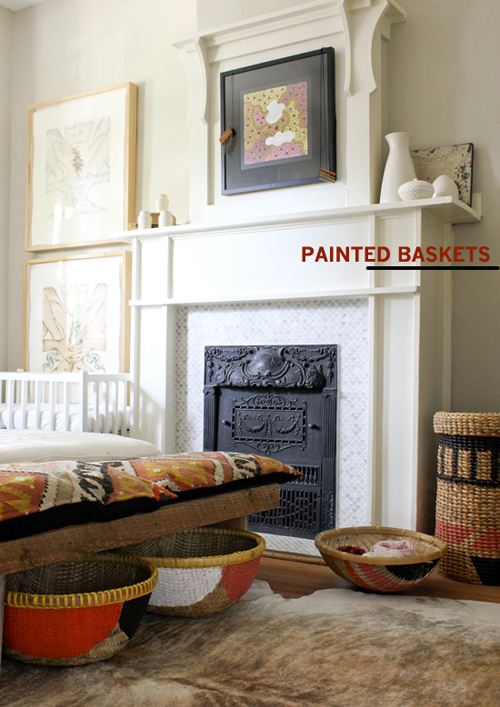 She then painted the baskets in these chosen colors and design. 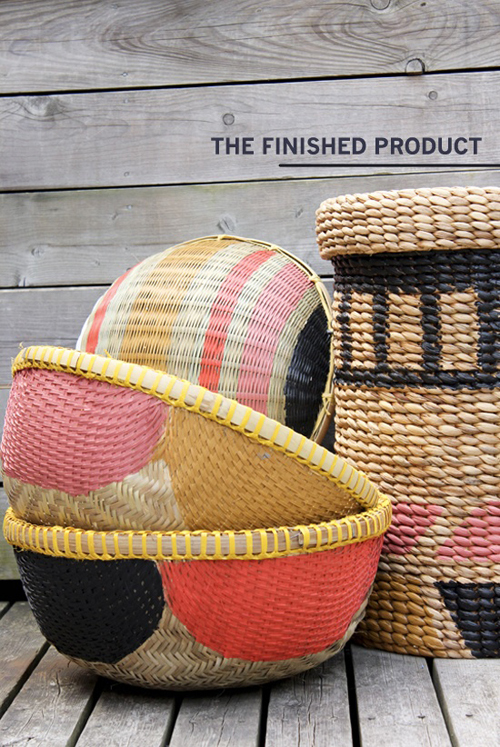 An easy way to personalize some baskets and give them character! You can find the full instruction (incl. more photos) here on Marion’s blog.